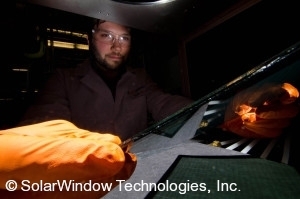 Columbia, MD – March 10, 2015 – SolarWindow™ Technologies, Inc. (OTCQB:NENE; SOLW – Pending), developer of see-through electricity-generating coatings for glass, confirmed encouraging test results from efforts to meet or exceed warranty periods for commercial-grade window products. As a result of favorable degradation and stability outcomes, the Company will direct resources to accelerate important durability and product-lifecycle testing efforts, effective immediately. SolarWindow™ products, under development, include rapid-payback electricity-generating windows for installation on the estimated 85 million tall towers and detached homes in the United States. According to latest power and financial modeling, SolarWindow™ systems boast the industry’s fastest known financial return, and could achieve payback within one year. To produce the equivalent amount of power with conventional solar systems would require at least 5-11 years for payback and at least 10-12 acres of valuable urban land. “Our SolarWindow™ products are being developed to performance standards which give real estate developers, engineers, architects, building designers, and future customers plenty of financial incentive. Of course, we also want to instill the confidence that comes with industry-duration warranties,” explained Mr. John A. Conklin, President and CEO of SolarWindow™ Technologies, Inc.
SolarWindow™ devices have been undergoing testing of their durability in an effort to meet or exceed warranty periods for commercial-grade insulated glass units (IGUs) installed on tall towers. Durability determines product-lifecycle, an important feature to the commercial adoption of SolarWindow™ products for generating electricity on glass windows. 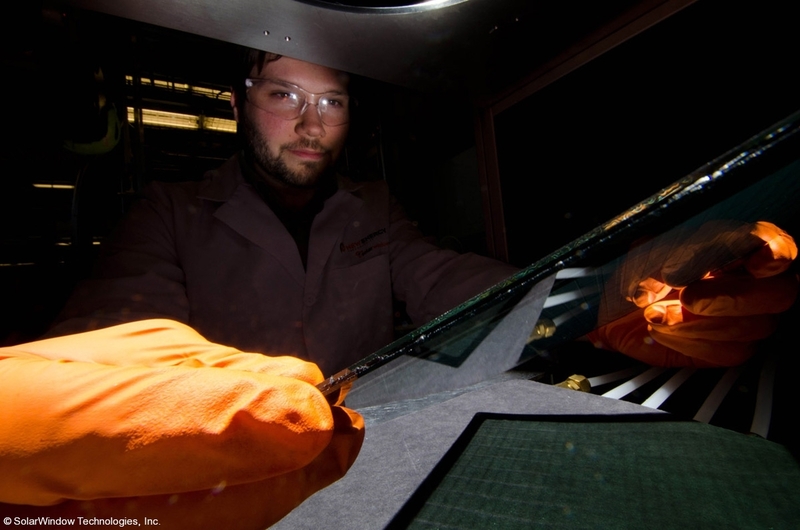 Among tests conducted by researchers have been measurements to evaluate the durability, degradation, and performance of SolarWindow™ coatings. These liquid coatings are organic and generate electricity while remaining see-through. Researchers validated the electromechanical stability and performance of these coatings. Additional tests were conducted to include packaging; a series of technical processes being developed by the Company for applying special sealants to SolarWindow™ devices. These tests measured factors related to durability, reliability, degradation, integrity and performance of seals. These special seals are applied along areas where moisture or weather elements could potentially create wear and tear. Moisture can cause erosion, an especially important factor to the lifecycle of window products. “I’m pleased that durability tests of SolarWindow™ coatings and their associated sealants have generated a level of performance we believe is essential to commercial warranty standard. Our next important steps will address efficiency, lifetime and cost for future product commercialization,” concluded Mr. Conklin.